Social media is not what it used to be. No more Facebook poking your friends. No old-timey, sepia-filtered Instagram photos filling up your feed. 280 characters in a tweet! Times have changed and social media has evolved. It’s no longer the domain of amateur food photography and hooking up with your school sweetheart. Now, it’s an integral part of every brand’s digital marketing strategy. Social media is now a hugely powerful tool that can help you connect, network, and market — and all for free (mostly). 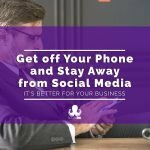 With over 3 billion regular users across the globe, social media use has skyrocketed and if your business isn’t in the mix, you’re missing out. 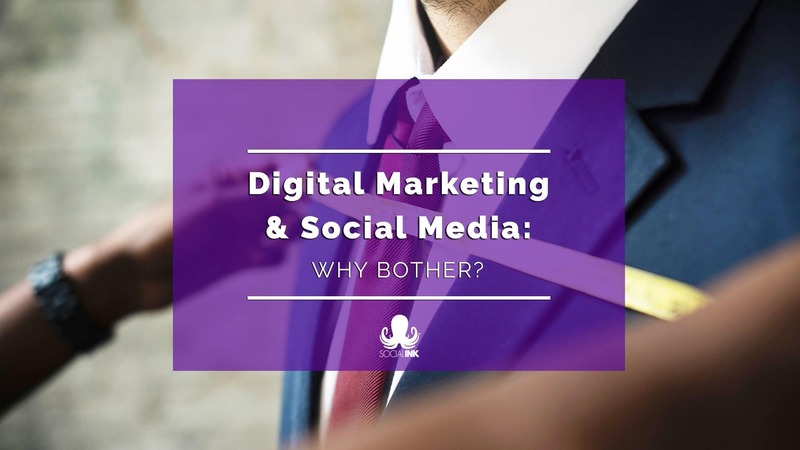 Of course, digital marketing is about so much more than just social media. It’s about having an online presence, a slice of internet real estate that shows your business is legitimate. We’re going to get right to the point. If you don’t establish, and maintain, an online presence you’re going to lose customers. What Has Digital Marketing Ever Done For Us? Let’s start with the obvious benefit. The internet has 4.1 billion users, that’s over half of the world’s population. If you’re not online — they can’t find you. And that’s a huge audience to be missing out on. Reach is everything online. One of the most powerful aspects of digital marketing is that it offers a level playing field to both small and large businesses alike. The same opportunities and audience are available to everyone. It’s just a question of capturing them. It’s also easier than ever to build a reputation online. The generations with the biggest buying power are social media savvy. They have opinions and they’re not afraid to share them. No matter what your industry, there’s likely a ratings website where potential customers can view how your business has performed and if people recommend you. Think TripAdvisor, RatedPeople, and even Facebook business pages — they’re all hubs of information where people can share their views on your business. Word-of-mouth advertising is back with a bang and a technological twist. We’ve already mentioned that social media is a (mostly) free resource — and it’s true. None of the big hitters in social media do, and likely never will, charge you to create and share content on their platforms. However, a successful marketing campaign will combine regular posting with a healthy dose of paid-for advertising to help boost visibility even further. Digital marketing is highly cost-effective and has a great ROI. In fact, for every $1 spent on Google Ads, businesses make an average of $2 in revenue. The low cost of online advertising means that companies can typically double their investment with digital marketing. Finally, the big one. Trust. 88% of the public pre-research online before making a purchase either online or in-store. If they can’t find any information about your business, they’re likely to move on to your competitor. Take the time to develop an authentic, transparent, and visible presence online, and you’ll build up a loyal and trusting community — who in turn will become advocates for your brand and help with word-of-mouth advertising. Let’s look at how to begin. Marketing isn’t one-size-fits-all. Think of it instead like a well-tailored suit. You may have to put in some extra work to make sure it fits perfectly, but you’ll look and feel great in it. Effective digital marketing is the same. It’s about understanding how your business works intimately, as well as taking the time to really dig deep and understand what your customers want and need. If you’re still not sure who your core audience is, and how to cater to them, we recommend taking some time to read Social Media Marketing for Startups: The Basics 7 – Analysing Data. It explains the value of analysing and understanding your core audience. While your business is as individual as you are, there are some shared resources that all businesses need to adopt. Think of them as the basics in your toolkit for digital marketing. Your very own .com (or .whateveryoucanthinkof) is the perfect foundation for any digital marketing strategy. Every channel and every piece of content should point back to your website. Think of it as your digital storefront. You wouldn’t open a shop without considering how it looks from the outside — so don’t do the same with your website. It should be clear, concise and informative. Everyone has an email address. But it’s vital you ditch your childhood email for something a little bit more business-oriented. FunkyChick95@hotmail.com might hold dear memories for you, but it won’t exactly inspire confidence in your business. If you have your own domain name, most providers will allow you to set up at least one email ending in your address. It’s clean, easy to remember, and looks professional. It’s really simple to get your business HQ listed on Google Maps, and we highly recommend it. Not only will it mean your business will pop up when people in your local area search for a service, but it also provides a platform for people to leave reviews and ratings, which will massively boost trust in your brand. We’ll be honest because we believe in transparency. Social media is a BIG job. It’s not quite as simple as just setting up accounts and sending out the odd sales pitch or funny gif.  A good social media marketing strategy is about planning, creating, and delivering consistent and high-quality content that suits your audience. But the value it offers is well worth the effort. Social media is the most relevant advertising channel for 50% of Gen Z and 42% of millennials. While a whopping 37% of all consumers find purchase inspiration through browsing channels. And then you can begin planning your own, personalised social media strategy. 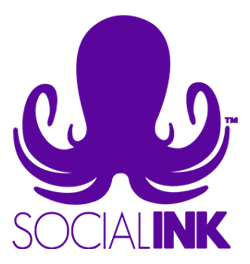 Whatever your social media and digital marketing needs, we can help you.